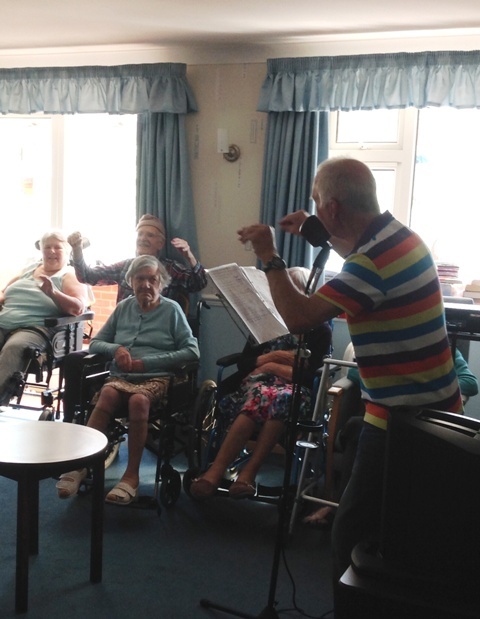 Riversway residents and staff were overjoyed to be visited by Mike Nash last week, for an afternoon of musical entertainment. Mike always sings a lot of our favourite songs, which guarantees to get everyone joining in and singing along. There were calls for an encore at the end as Mike finished his set with a rousing rendition of Sweet Caroline. Thank you Mike for a wonderful afternoon, we look forward to seeing you again soon. Riversway’s own Jan Wilkins travelled to Birmingham recently as a finalist in the Great British Care Awards. The ceremony, one of the most prestigious in the care sector, celebrates the great work being done, and Jan, our general manager, was shortlisted for the Registered Manager Award. 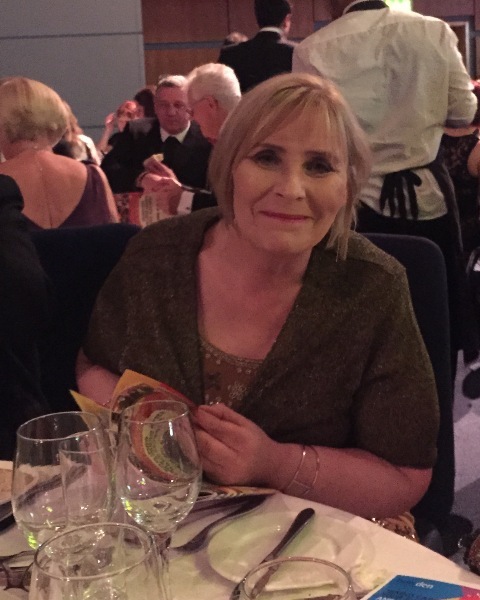 While Jan didn’t scoop the national prize, it was a great experience and she was able to cheer on our colleague Robin Eddleston, a senior healthcare assistant at Springhill Care Home, who won the National Dementia Carer of the Year award. A team from Affinity Supporting People, also part of the Springhill Care Group, was shortlisted for the final of the Great British Care Awards. It was great to see so many care professionals celebrating what makes the care sector so special – the people – and a big congratulations goes to everyone involved as finalists and winners. At Riversway our residents are always keen to get out-and-about, especially when the weather is nice. 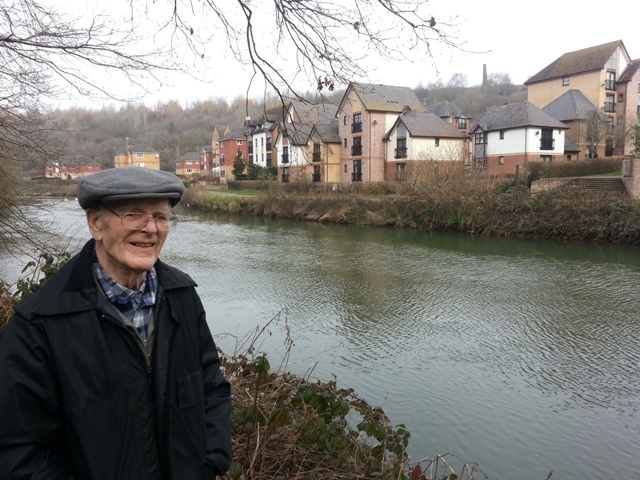 Recently Colin, a popular member of the Riversway family, spent the day enjoying the sunshine with a three mile walk by the River. He enjoyed ice cream, petting the dogs he met on his walk, talking to fishermen and admiring the views. In the afternoon he still found the time to entertain the other guests, and we’d like to thank him for the tireless energy and positive attitude he displays, bringing a smile to all our faces. 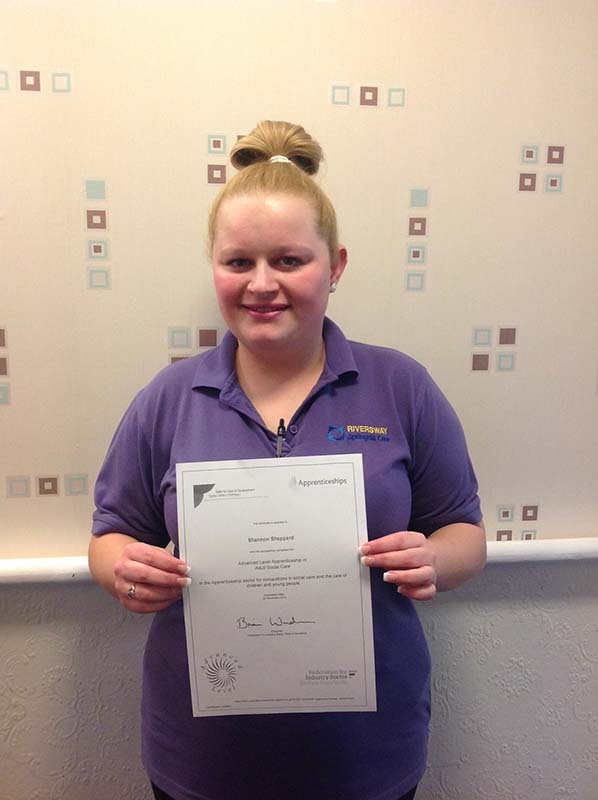 Riversway Nursing Home staff member Shannon has marked a landmark in her training by completing her QCF3. The qualification is a diploma in health and social care, and Shannon has spent around a year working towards it. Shannon has been with us at Riversway since attending school, firstly on a work experience programme then from 16 when she started as a volunteer. Since then she has chosen to undertake training to become a carer, and has shown real dedication in her career journey. She now has plans to become a team leader and nurse practitioner to continue to develop her skills and knowledge. She said: “I was very excited by the idea of doing my QCF3 and couldn’t wait to get started. I really enjoyed doing the course and feel I have learnt a lot through doing it and developed as an individual. 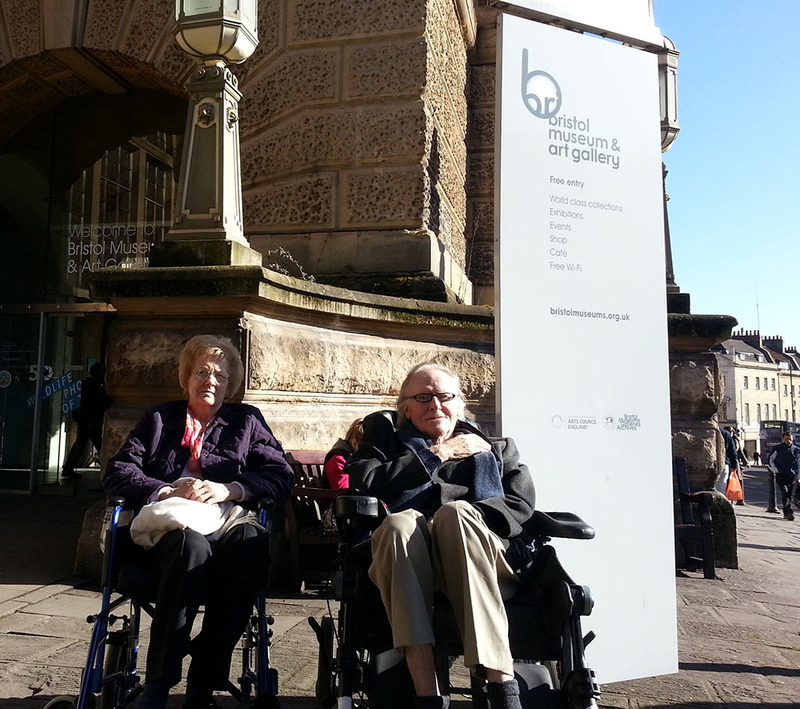 Riversway’s cultural residents Gordon and Betty visited the Bristol Museum and Art Gallery recently to take in some fine art. Paintings, sculptures, artefacts and a number of exhibitions are housed in the beautiful old building. Betty found herself particularly enamoured with a collection of Egyptian art, while Gordon, who used to be a keen photographer himself, really enjoyed the Wildlife Photography of the Year exhibition. Activities and days out are an integral part of the work we do at Riversway and it’s great to have such wonderful places to visit in the local area.